You know Marketing Automation can dramatically revolutionize your organization’s revenue engine – but how do you get the results to make your purchase worthwhile? Many companies miss out on transformational opportunities by simply plugging their old campaigns into new technology, essentially paying a lot more to do the same thing they always did. Without a Marketing Automation plan, your investment could fall flat. Underestimating this powerful technology can also put your organization at risk. Laws governing the use of your client data are tightening, and the consequences of lacking digital marketing oversight can be extreme. In fact, if you misuse data (even accidentally!) and your campaign touches the European Union, you can be fined $20 Million or 3% of your revenue under GDPR. In other words – digital marketing is not a game. Your Marketing Automation platform is not a toy, and your database is not a playground. Marketing automation deployment can bring serious consequences, both positive and negative. Get it right, and you can multiply your leads and grow your revenue in unprecedented ways. Get it wrong, and you could face a backlash from your team, customers, and even legal bodies. 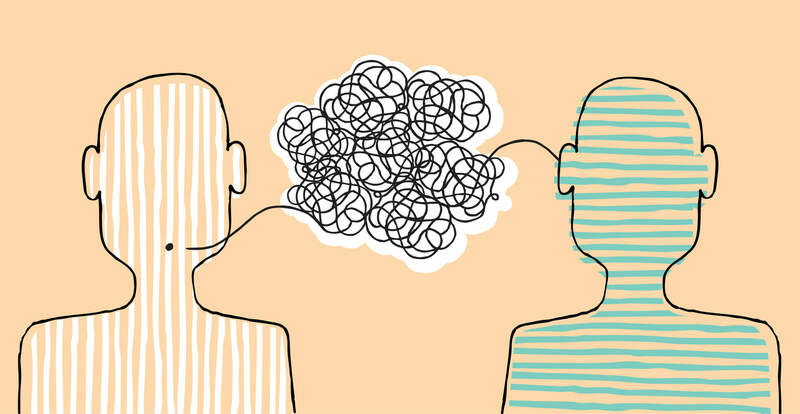 As someone who has overseen a large number of successful MarTech projects, one of the most critical Marketing Automation tips I can share is to open the lines of communication. Yes, that involves talking to your Marketing Automation team and your company’s leadership. But it also means touching base with each department to develop a clear understanding of the present and a vision for the future. Here are some of the conversations you need to have as you set your Marketing Automation plan in motion. Question 1: Who will govern your Marketing Automation project? A CMO may instigate the Marketing Automation investment, but chances are they are too busy to see it through step-by-step. You need to define the team responsible for overseeing your Marketing Automation process from deployment through to fulfillment and optimization. Once your new system is deployed, the committee should meet about once per month. Marketing Operations/Sales Operations – This person or team will typically chair the Marketing Automation committee. This is a relatively neutral party with access to both Sales and marketing stakeholders are well positioned to oversee your MarTech stack, making them well-suited to approach the task in a balanced and action-oriented way. Note: If you don’t have a MarkOps team or don’t think your current MarkOps team is capable of this leadership role, my colleague Anthony wrote a great article to help you redefine this important department. Check it out here. CMO – Responsible for leading initial conversations with marketing stakeholders and reporting on marketing results and challenges. VP Sales – Responsible for leading initial conversations with Sales stakeholders and reporting on Sales results and challenges. Internal stakeholders – These people see the potential of Marketing Automation and are willing to advocate for its value within their teams. They can oversee some day-to-day operations and ensure that the agreed-upon protocol is being followed. External consultant – It is a good idea to have a Marketing Automation expert present. Not only can they recommend an efficient and effective pathway forward, but they can act as a constant within the committee and keep everyone focused regardless of any turnover, acquisition, and strategy shifts. Question 2: How will you document our decisions? Let’s be realistic: Leadership can change. Teams can reorganize. The governance committee you built while planning Marketing Automation deployment may not be the same group a year later. Through any and all changes, you’ll need to be able to keep your system running smoothly. Training, campaign development, and measurement will all need to align with your Marketing Automation strategy. How can you make sure this happens? A documentation strategy. Clarify early on how your conversations and decisions about Marketing Automation will be documented. Ideally, notes will be taken at each meeting then organized in a central reference document. You may also wish to have a team member or consultant turn your decisions into a training manual for future stakeholders to quickly on-board. Question 3: How will you make sure Sales has a voice in marketing decisions (and vice versa)? Having the CMO and VP Sales in the same room once a month is great, but it’s not enough to truly motivate Sales and marketing alignment. Both these stakeholders are juggling multiple priorities at a time, and may not always be well placed to identify technical glitches, change management concerns, or other important issues right away. Once again, this is a role that Marketing Operations and Sales Operations can fill. Both these teams should be in touch with the marketing and Sales teams respectively. They should also be tuned into the technical realities and overall planning behind these systems. Consider how these managers or teams can help you build Sales-marketing alignment, both within your tech and your workplace culture. Question 4: What are your personas? Have they been validated? Before you deploy any campaign from your Marketing Automation platform, take the time to clarify who your target market is and what they want to hear. While many companies have undergone the process of defining their target market, the truth is that the market has changed. The influencers within an organization may not be the same people they used to be. Introducing Marketing Automation is a big shift for your company, so it’s worth taking the opportunity to revisit some of your old assumptions and campaigns. Work with your Sales and marketing teams to refresh your buyer personas, clarifying how these buyers move through your Sales and marketing funnels. This will help you implement the right campaigns and strategies early one. Questions 5: How will you identify your current process and vision in the 5 key areas Marketing Automation will touch. In order to make a meaningful change with Marketing Automation, organizations need to define where they are and what they want. This sounds simple, but it can get complicated in a hurry. To start, teams may have different definitions of key terms such as “campaign” or “lead.” They may also have differing perspectives of how things are going (data may be able to clear this up) and conflicting short-term and long-term goals. Start these conversations with Sales and Marketing teams by defining shared goals – typically, these involve driving revenue. Clarify the existing data as best you can, and create measurable, quarterly goals for the future. Not only will this get everyone “on the same page,” but it will also serve as a guide for your future meetings and strategies. What is our current process and vision for campaign development? What is our current process and vision for data collection? What is our current process and vision for segmentation? What is our current process and vision for reporting? What is our current process and vision for lead management? Need help tracking these conversations? Use the below chart to record your discussions and plans. What does that mean to you? What is the current process? How would you like that process to be in the future? Bottom line: You need a Marketing Automation plan. I often tell clients that the process of switching from basic tools to a Marketing Automation platform is like switching from a bicycle to a rocket ship. Some people try to use their rocket ship as a bicycle. Others want to go to Jupiter right away, without training their cyclists to be astronauts. Neither of these options works very well. Marketing automation can make a big difference in your business, but only if it is backed by a well-considered, thorough, and properly communicated plan. By combining company leadership with external expertise and knowledgeable stakeholders, you will be able to maximize your Marketing Automation investment. Karim is a Guest Blogger with MASS Engines and a Marketing executive with more than 18 years of marketing technology experience. He has a Masters, Management Sciences (MMSc) and has delivered more than 20,000 consulting hours across 500 Eloqua projects.